Jack is a native of Richmond, Virginia. At age 11, Jack picked up the saxophone for his middle school band and has not put it down since. He started off playing the alto saxophone; however, as he progressed as a musician, Jack was drawn to the music of baritone saxophone masters Pepper Adams, Harry Carney, and Gerry Mulligan. He quickly fell in love with the baritone saxophone's deep, rich tone and made it his primary instrument. Jack earned a Bachelor of Arts degree in both music and mathematics from the University of Virginia, where he cultivated his passion for jazz music under the artistic mentorship of saxophonist Jeff Decker, trumpeter John D'earth, and guitarist Mike Rosensky. In 2016, Jack earned a Master of Music degree, with a jazz studies concentration, from George Mason University. There, he was priviledged to further his study of the saxophone and jazz improvisation with saxophonists Dr. Tyler Kuebler and Jim Carroll and guitarist Dr. Shawn Purcell. Jack currently resides in Arlington, Virginia and performs all over Virginia, Maryland, and Washington, DC in genres ranging from jazz to funk to rock. He has performed as a part of the DC Funk Parade, the H Street Festival, the 2017 Rosslyn Jazz Fest, and at prominent venues such as Blues Alley and the Hylton Performing Arts Center. He can be heard on Grammy-nominated bluegrass and country group Dailey & Vincent’s 2015 album Alive! in Concert and as a featured soloist on the 2016 Mason Jazz CD Life, Liberty, and the Pursuit of Swing. In addition to performing, Jack maintains an active career as an educator. He served on the staff of the 2016 and 2017 National Jazz Workshop held at George Mason University, and he has worked at several Fairfax County high schools leading sectionals for the schools' marching bands. Jack also taught a beginning music theory class for elementary school children at the Sitar Arts Center in Washington, DC. 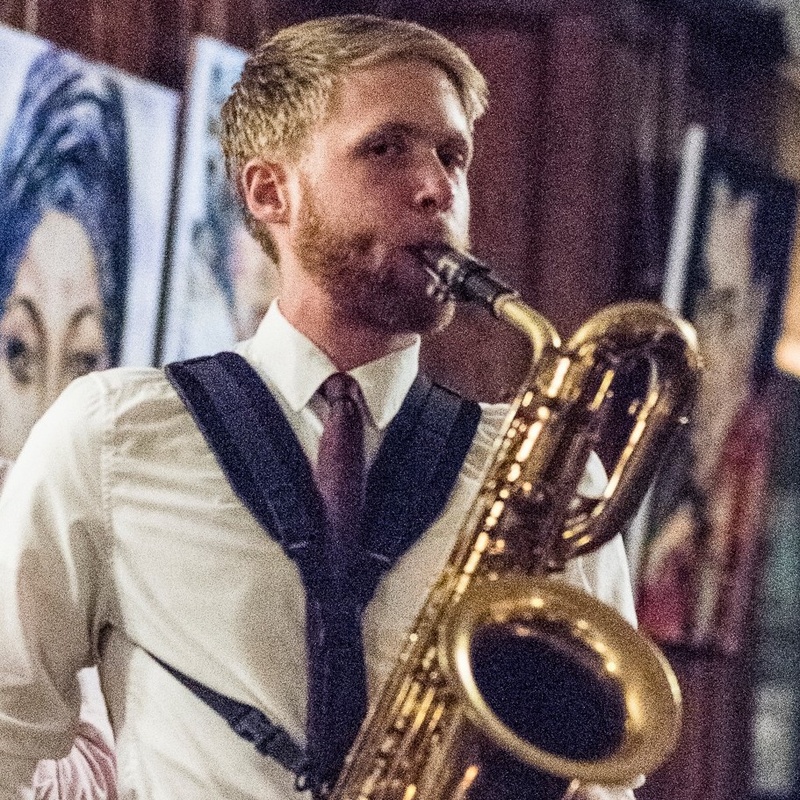 Currently, Jack offers private saxophone lessons for students of all ages and abilities, and he is delighted to share his love of music with his pupils. I also offer teaching services in a sectional or ensemble setting. If you would like to contact me about private lessons, sectional leading, or ensemble coaching please see the Contact section. Be sure to check out and subscribe to my Facebook, Twitter, and YouTube pages for more media updates. My take on Gustav Holst's "Jupiter." The melody is taken from the middle section of "Jupiter" and the reharmonization is my own. I have always found this melody really inspiring and am looking for new ways to interpret it. This piece was recorded for my graduate recital at George Mason University. Here's a recent recording of the Jack Irby Organ Trio performing live at Drift on 7th in Washington, DC as a part of the Shaw Music Series. Stay tuned for more performances with this group! The Too Damn Big Orchestra performing a classic Pee Wee Ellis tune at our monthly gig at Flanagan's Harp & Fiddle in Bethesda, Maryland. Check the Upcoming Performances section to find out when you can hear us next! If you want to contact me regarding booking, upcoming performances, private lessons, joining my mailing list, or just to say "Hi," please fill out the form below and I will be in touch with you as soon as I can. Feel free to also send me an email directly at saxirby@gmail.com. Check this section regularly to stay in the loop on my upcoming performances and other imporant dates!